It’s 2017. January. You’ve set your New Year’s resolutions and if you’re like 99% of the rest of the American population, you’ve vowed to eat healthier, save money, and workout more. #amiright?! 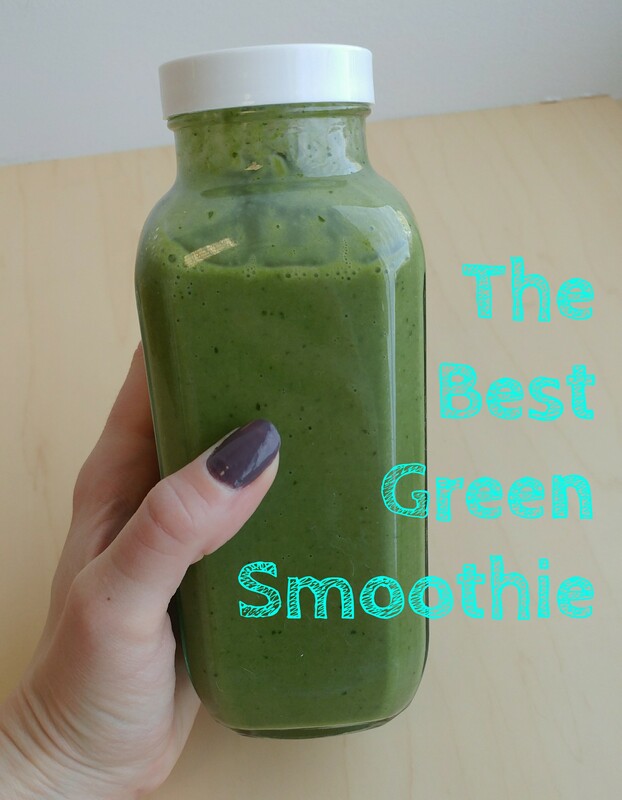 Green smoothies are a tasty, easy way to add more nutrients into your diet. Your lifestyle. Green smoothies, when made properly, are delicious. Seriously I actually crave these!! I know, it’s GREEN. Like, the actual color of spinach. Trust me, not only will you enjoy the taste, but, if you were to close your eyes and take a sip, you’d have no idea there were greens in your drink. There’s a trick to these. There are lots of smoothie and juice recipes out there. What makes this one different, and in my opinion the reason you’re able to pack so many greens into each smoothie, is that you steam the spinach first! It’s super easy. Buy a bag of baby spinach– I usually buy the 6oz bag from Trader Joe’s. Open the top of the bag a little bit. Then stick it in the microwave for 4 minutes. Boom– it’s steamed! The other key to this smoothie is the banana. No matter what kind of smoothie you want to make, be sure to include the banana. I have found that it is the #1 masker of the green-taste. Plus, potassium. So why not? We’re going to start with the Classic Green Smoothie. It’s the one with the fewest ingredients, and absolutely fantastic as is. Once you make the Classic, there are lots of optional ingredients you can add to create variations. But first, let’s start with the base. Directions: Put all of the ingredients in the blender. Liquefy. Pour into two glasses. Drink! What else do you like to add to your smoothies?! Give it a whirl in the blender and comment below with you favorite combinations! I like to have these for breakfast– starts the day on the right foot! They’re also fantastic as portable snack or workout recovery fuel. Make them ahead of time so you can grab-and-go from your fridge whenever you want!